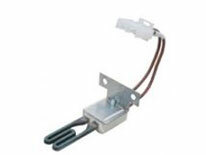 Hot Surface Igniter. Home Repair, Repair Parts, Fix Plumbing. Replacement for Goodman furnace and more. The smell of gas coming from your furnace can be a simple symptom to look for. It the igniter is not working the gas will not get burned which means the odor should be recognizable.